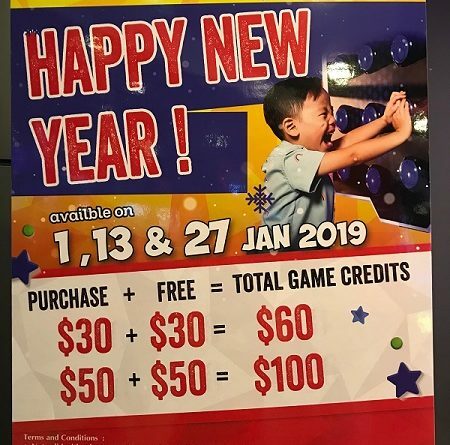 Celebrating New Year 2019, Timezone Singapore is coming with HAPPY NEW YEAR promotion and giving out 100% BONUS Credits as promotion. Yes, you read it right: DOUBLE game credits! 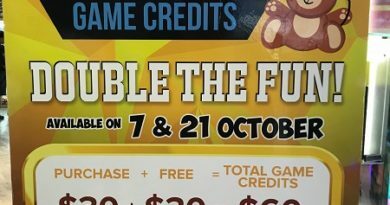 100% BONUS Credits at Timezone Singapore! 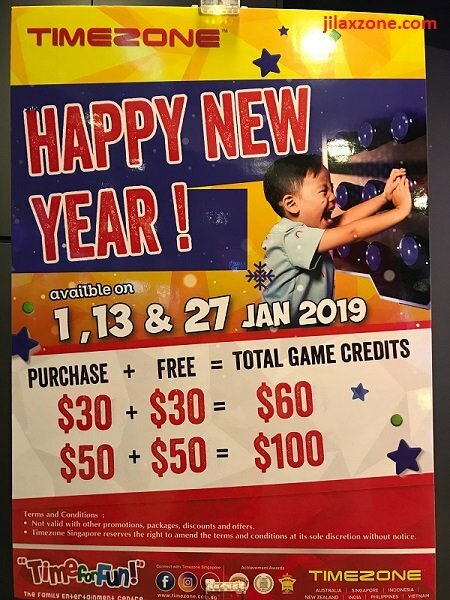 Timezone Singapore Promotion for January 2019: 100% BONUS Credits! You are getting 100% BONUS Credits or if you prefer this way: it’s like playing the game with 50% discounts for all games available in Timezone! This “100% BONUS Credits” promotion is available on all branches of Timezone in Singapore. In case you are not aware, you don’t need to spend everything you got on the dates mentioned above, you can spend anytime you like as long as you consume the credits before expiry date (is there any? you might want to check with the staff there), however to get the 100% BONUS Credits, you can only top-up on the mentioned dates above.